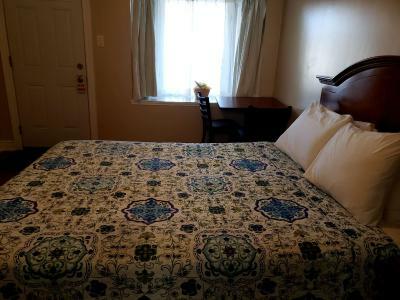 Lock in a great price for Blue Moon Motel – rated 8.6 by recent guests! 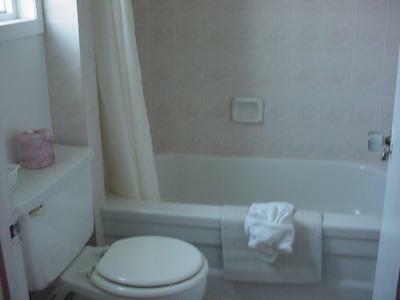 Excellent value, very clean and comfortable, fresh and contemporary room. 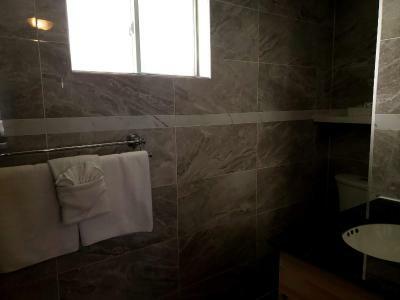 Excellent modern bathroom and shower. 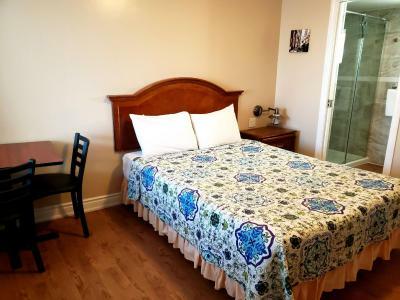 Convenient location for a short drive to NF, NOTL and St Catharines. Friendly staff. We were very pleased with our stay. Friendly staff and right on a bus line to the fall. Check in was quick. Wonderful owner. Great value for a one night stay. I grew up here but live out of town. Whenever we visit family and friends we like to support the non-chain hotels. Super clean!! Heater was on when we arrived. Nice, welcoming touch. Will absolutely stay here again. The property appears to be family owned and the people working there were very pleasant. 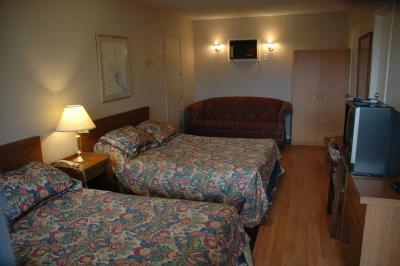 Our room was newly renovated and was very comfortable. The young lady at the desk said that they had purchased the property about 1 ½ years ago and have been working very hard on it and it showed. 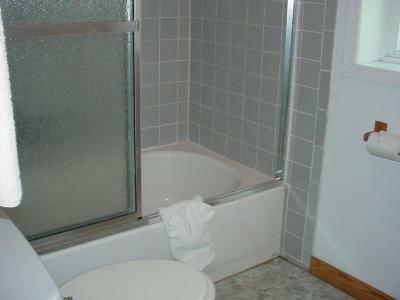 Very nice place on a budget, great bathroom, hi quality free internet, flat screen cable TV, fridge and microwave. A winner all around!!! We wish then the best of luck with their property. Wonderful staff. 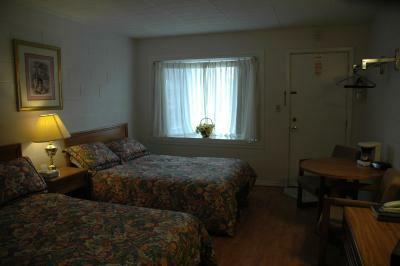 Very clean and well kept for an older motel. 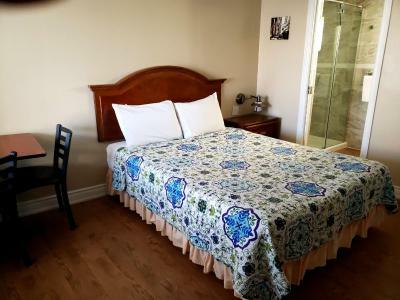 Clean sheets, bedspread and towels. Pool and outdoor area for grilling. We go bus stop right in front. Takes you right to the falls. This was absolutely one of the best motel experiences I have ever had! The room was spotless!! Plenty of towels and extra pillows. 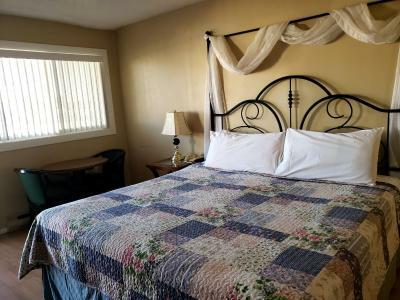 The property has a very homey feel with beautiful fresh flowering plants in flower boxes (in season) and chairs to enjoy the outdoors while visiting. The staff was very pleasant and helpful. The office stayed opened a little later than normal to accommodate my late arrival. 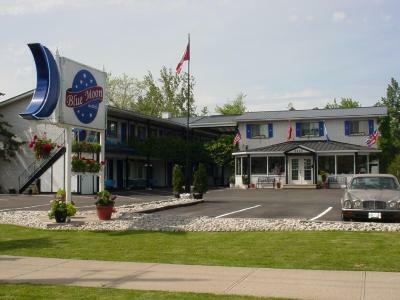 A WeGo stop is right at the motel and at $8.00 CAD for a 24 hour pass, was a great way to see all Niagra Falls has to offer without any parking headaches or charges. These passes are available at the motel office. I will definitely be visiting again. It's a very retro motel. Nice and clean. Has a decent breakfast. Easy travel to and from the falls. 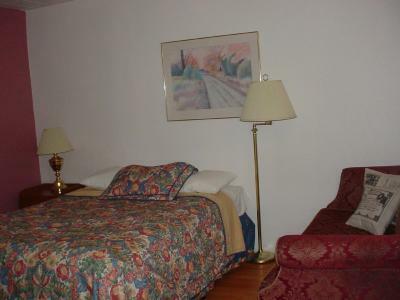 The room was very clean, and the bed was comfortable. The breakfast was very good . 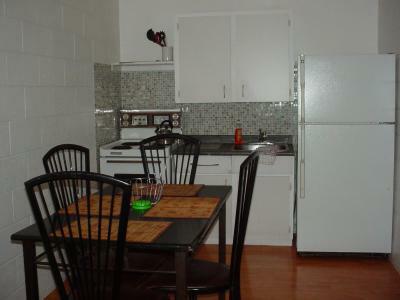 Super clean, kitchen well fully equipped. The heart shaped swan towels were such a thoughtful surprise since we were on our honeymoon. The room was clean. There was a coffee maker, refrigerator with a freezer and ice trays, and it had a microwave. They serve a very nice continental breakfast every day; eggs, cereal, bakery items, fruit, coffee and juice. Outside was so pretty with all the flowers! 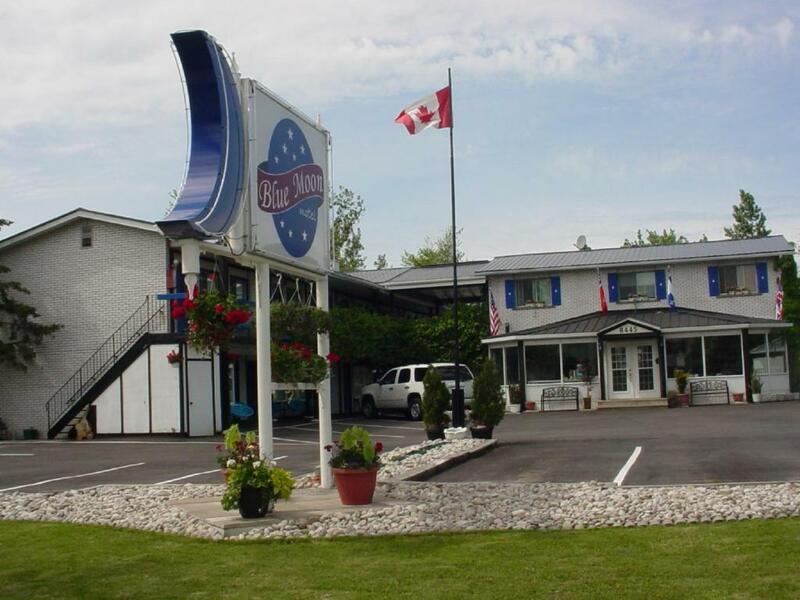 Blue Moon Motel This rating is a reflection of how the property compares to the industry standard when it comes to price, facilities and services available. It's based on a self-evaluation by the property. Use this rating to help choose your stay! One of our best sellers in Niagara Falls! 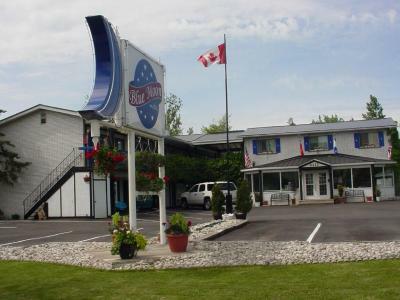 This Niagara Falls motel is a 10-minute drive from the Falls. 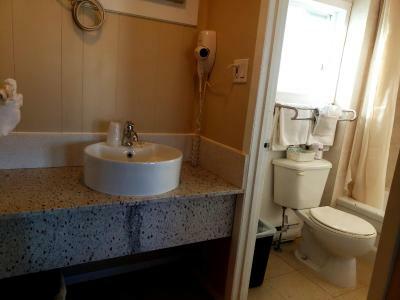 The budget motel features a seasonal outdoor pool, free Wi-Fi and a picnic area with barbecues and children's play area. 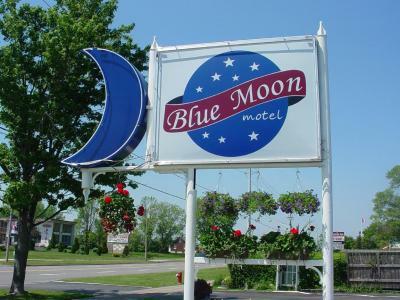 The Blue Moon Motel features cable TV and a refrigerator in every air-conditioned guest room. 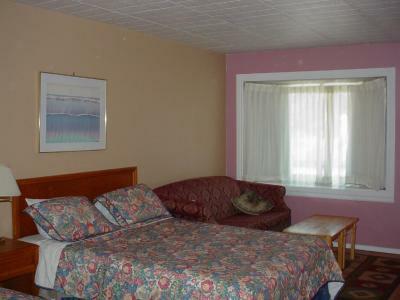 All rooms are also equipped hardwood floors, a coffee maker and a telephone. 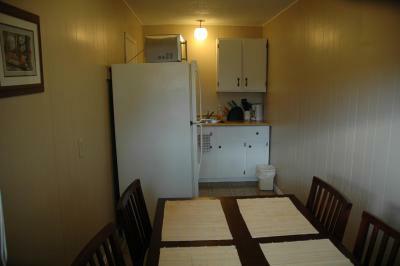 Some enjoy a well equipped kitchen or kitchenette. Calls within North America are possible free of charge. 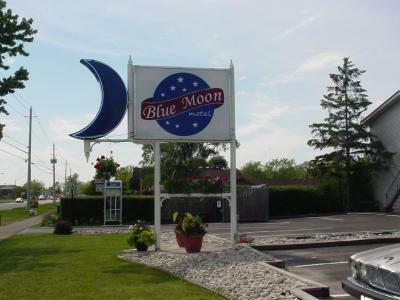 Canada One Factory Outlet mall is a 2-minute drive from the Blue Moon. Casino Niagara is 4 miles away. 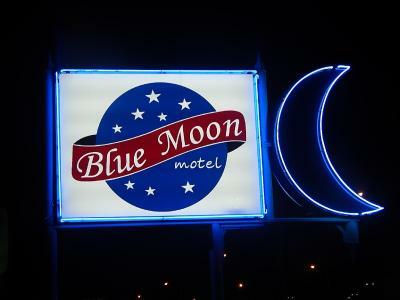 When would you like to stay at Blue Moon Motel? 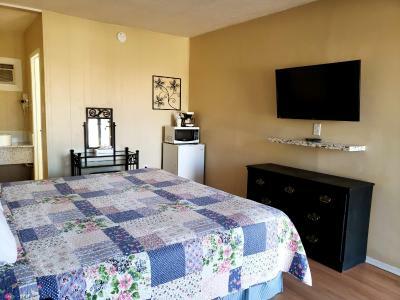 This room features cable TV, coffee maker and a refrigerator. Wi-Fi and calls within North America are free of charge. This room has a kitchenette. 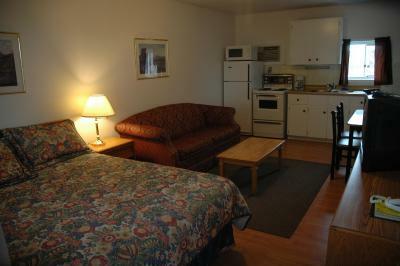 This room offers a full kitchen, cable TV and an private bathroom. 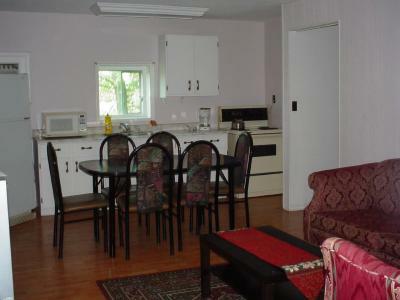 This three-bedroom suite has full kitchen and dining area. 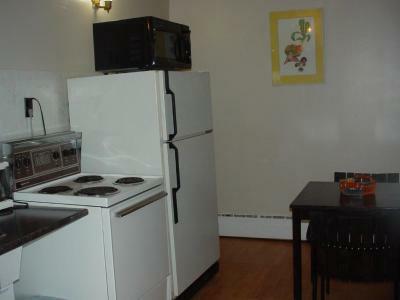 This room includes a kitchen. 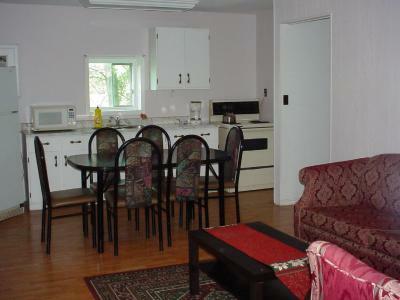 This suite features cable TV, coffee maker and a refrigerator. Wi-Fi and calls within North America are free of charge. 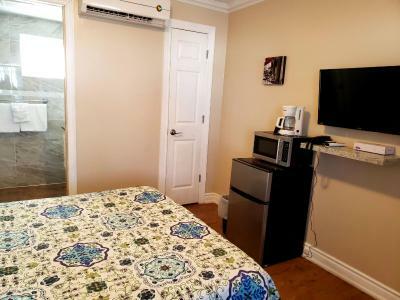 This room includes a fridge and coffee maker. House Rules Blue Moon Motel takes special requests – add in the next step! Blue Moon Motel accepts these cards and reserves the right to temporarily hold an amount prior to arrival. Guests arriving outside front desk hours of 2:30 pm to 10 pm are requested to inform the hotel in advance. Contact details can be found in the booking confirmation. Please note that the maximum is 4 rooms that can be booked under 1 credit card. 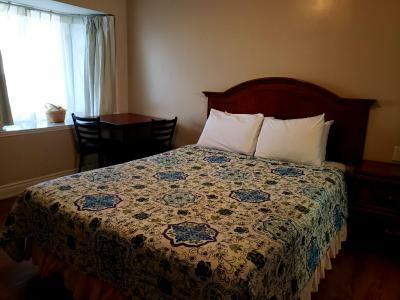 As soon as we arrived into a newly renovated room, I was pleasantly surprised. It was beyond my expectations. Very bright, clean and comfortable. I totally recommend. The room was clean:) Please, keep up the cleanliness!! Price it’s good! Location perfect 👌🏼 Room pretty spacious and clean. Good costumer service! 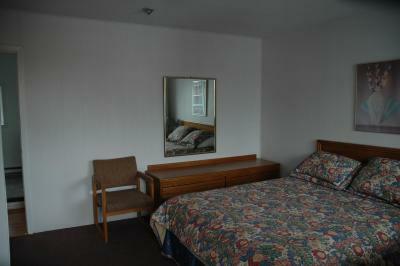 Beds were OK but could upgrade mattress & bedding to reflect the good quality of the room. A few small changes (eg. add full length mirror) could make the room outstanding value. Everything fine in my short stay ( 2 nights). The phone didn't work in the room and the mattress could have been more comfortable but it wasn't terrible. Friendly staff and the room was very clean and made up nice. The bath tub was huge. Overall we were very happy with our stay and we will return. The outside. Looked run down and old. Nothing. Looked bad from outside. So out dated. Clean. Well run. Wonderful owners. Nice decor. The bed was a little uncomfortable but not bad and the bathroom was small. Loved everything. The bed was a bit uncomfortable, but ok for one night.